ü iTunes could not connect to the iPod because it is locked with a passcode. ü you must enter your passcode on the iPhone before it can be used with iTunes. There are so many of solutions to solve this problem on the internet that is facing many of the iPhone users .But in this article we will Explain the Top three Ways That We have obtained is after experiments . ü IF iTunes Detected you iPhone , You Will Get Notice Message Say That ( Attempt The passcode Again ) That Let's you to enter passcode again and and unlock device , if do not remember the passcode you will need to restore the device ..
ü Then Open your iTunes From your PC . ü Hold Both Buttons ( HOME & Power ) At the Same Time Until Screen Lights Up . ü During this occurs Connect it to your computer using USB Cable . ü Now your will see iTunes icon appears on IDevice Screen . ü When You See The Previous Message . ü Release The Home Button . ü Itunes Will Alert you that it has detected A device . ü NOW! All You Have To Do Click Restore Button of iTunes To Start Restoring ;) . Now The Last option that we gonna go with is ( if you have no backup and no computer that synced with ) . 1st Step Is Turning The Device Off by Holding The Power button And Sliding Off . Like The below Image . 2nd Step It's Connected To iTunes . 3rd Step Hold Both buttons Until The Device Turns on and the Screen Lights Up . Like The Below Image . 4th Step Once It's Up you release the power button and keep the home button held down until you see ( Connect ToiTunes ) Appears . 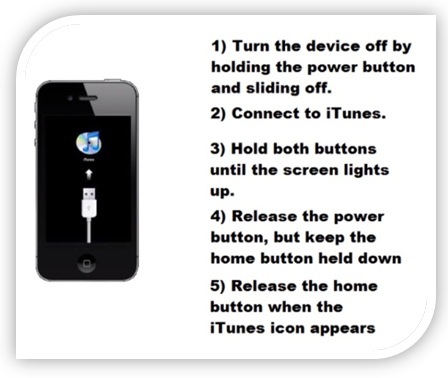 5th Step Once you see iTunes Icon Release The Home Button as the below image . 6th Step Now you will see message says that ( iTunes Has Detected An iPhone In Recovery Mode ) Once you click OK to agree that message and the next step hit restore button again , at this time the process of getting last backup and running .. Unfortunately with this message the data on the device will be lost and there is no way to preserve ..
At The End ,, I Hope That Helped you .. Sometimes while you use your mobile device problem occurs what make your phone does not respond to any act definitely in this case you should do Force iPhone hard rest , Lets try it and hope this way help you . Hard Rest iPhone : Press and hold the Sleep/wake bind until the red slider shows up. 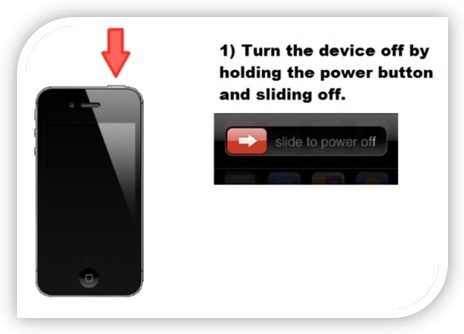 Slide your finger over the slider to turn off Your IDevice. To walk out on, press and hold the Sleep/wake until the Apple logo shows up. Provided that you can't turn off Your Mobile or if the issue proceeds, you may need to reset. A reset ought to be carried out . A reset needs to be done only in case turning Your Mobile off and on doesn't resolve the problem. 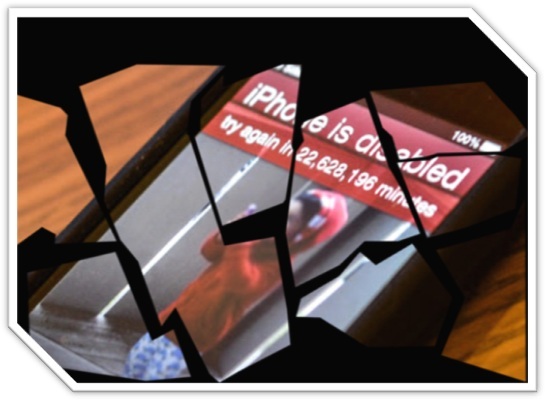 A reset needs to be done only in case turning Your IDevice off and on doesn't resolve the problem. When you own an apple IDevice, you must preserve a subscription with a cellular service organization to use most of the device's features. 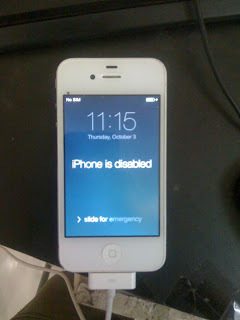 If an Apple iPhone is disabled as a result of service cancellation, it will not sync with iTunes. If you still would like to sync your Mobile with iTunes after it has been disabled, it has to be reset first. · Turnoff your Mobile by Pressing On The power button found on the upper right corner of the Mobile, and then move the cursor towards the right Red. · Press and hold the home button and power button at the same time. 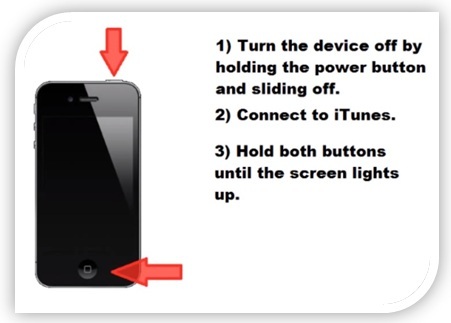 · Continue with holding the home button Till iTunes logo with the USB appears on the screen. It will get with regards to 25 a few moments. · Connect Your IDevice to computer then launch iTunes. 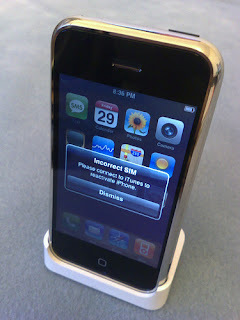 Your iPhone may occasionally lock up and become disabled,and Can not open it, it's possible to correct this problem with the two buttons built into the Mobile. Press and hold down the circle button, located below the touchscreen, and the small button at the top of the screen. Continue to hold these buttons down as the iDevice turns off. Wait a few moments, then press the circular button. After a few moments an Apple icon loads onto the screen. This performs a boot cycle that takes several moments. Slide your finger across the "Unlock" option when the Mobile has finished booting. 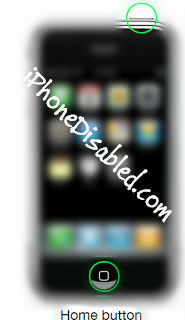 The main screen appears, allowing you to again use your iPhone Disabled . What Does It Mean When Your Device Says "iPhone Is Disabled - Connect to iTunes?"